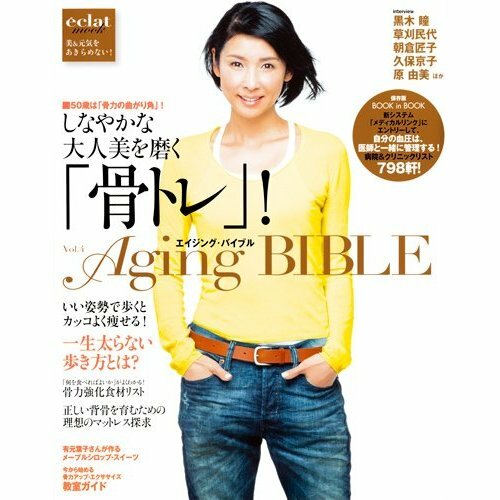 A few days ago, we were featured in a magazine called “Aging Bible” (page 123), which targets women in their 40’s and 50’s. The magazine is published by Shueisha, and it comes out on an irregular basis. This edition is called 骨トレ, which means “bone training” if you translate it directly. One well-known chef here in Japan, named Michiko Matsuda, has been practicing GYROTONIC® with me for about 2 years now, in addition to taking my husband’s manual therapy session for about 6 months. The article talks about her advice on what to eat in order to keep your bones healthy, as well as how GYROTONIC® helps to strengthen the bones in your body. This entry was posted on January 16, 2013, 10:17 pm and is filed under English Blog, News!. You can follow any responses to this entry through RSS 2.0. You can leave a response, or trackback from your own site. Slimming, Thank you for your comment, and for your nice compliment! It would be great to know how you found us:) Are you in this industry as well?